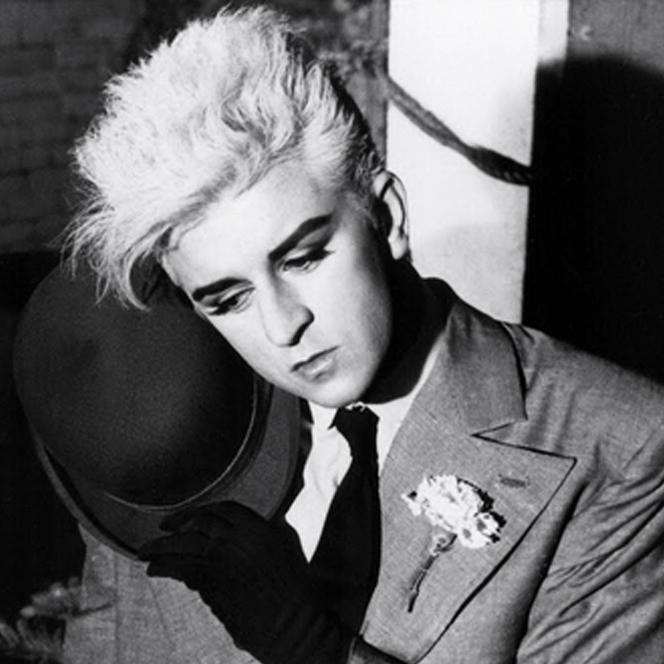 In case you have been too connected to the clubbing culture and haven't heard of the grim news regarding Visage's lead singer and frontman Steve John Harrington or worse, if the name Steve Strange rings no bell, then you are in desperate need of help and I suggest going to wikipedia, discogs and your local vintage record store for a well deserved lesson in music history. I could spend an entire week writing about the New Romantic figure, Ibiza fanatic, successful club manager and promoter amongst many other occupations, but I'll leave the joy of discovery to you. I will only say that without british synth-heavy bands like Visage that dominated the 1980s underground and pop culture, things would look entirely different today. Thank you Steve for your incredible work, you will be missed! So, in order to pay tribute and respect to his creative musical career, I have compiled a short playlist of what I consider to be the band's five best songs from my point of view as a synth aficionado and new romantic purveyor. First up is a actually a cover of Zager and Evans' world famous orchestral folk rock hit 'In The Year 2525'. Visage's re-interpretation of this classic is probably the best I ever heard and it's full of electronic goodness: a simple cold drum computer pattern repeats with machine precision, while prophetic synth keys glide under the vocodered vocal track, perfectly depicting the menacing robotic feel the lyrics portray. And speaking about the vocals, you might recognise Midge Ure's timbre on this one. Recorded as a demo in 1978 and released in 1983. Next on my list is a somewhat unusual song for a largely vocal band to write and perform because 'Motivation' is fully instrumental. An instrumental that takes the best of both acoustic and electronic worlds with it's marching band snare drums, classic bass guitar and electric riffs laid upon a plethora of synth lines ranging from grungy bass stabs to celestial pads and wavering fillers. Released in 1982 as a mere B-side to the band's last international hit 'The Damned Don't Cry'. If you think 'Motivation' was peculiar, wait until you hear the next one (clue is in the title). Best known by its english title, 'Der Amboss' (The Anvil) is Visage's only song that I know of featuring full lyrics in the band's non-native language. The instrumentals on both version are practically identical, but the vocals change the entire feeling of the song. While the english version sounds quite casual, Steve manages to deliver a glamorous performance in Goethe's language that has most native german speakers nodding disprovable at the pronunciation. Released in 1982 as a promo only 7" and 12", copies are scarce and pricey. 1982 marks the height of Visage's career that saw the release of 'The Anvil' which is without a doubt the band's best album to date. With a well crafted sound that's closer to synthpop than to new wave, the album produced 2 well-received singles, but marked Midge Ure's final collaboration as he left soon after its recording to revitalise Ultravox and the rest is history. For reasons unknown to me and quite frankly unthought of, 'I'm Still Searching' was excluded from the album and only released as a B-side companion to the more popular 'Night Train' in 1982. The deep solemn vocal combined with industrial percussions, metallic hits and sawtooth synth filling multiple roles in the arrangement give the track a strong urban sense of languish and hardship. New Romantic purists are going to hang me for this, but I believe the band's self-titled debut album from 1980 best represents the short-lived and underrated new romantic movement. While hardly mainstream and unlikely commercial, 'Visage' managed to break through a scene ruled by post-punk, new wave and synth pop giving us the group's most popular song to date and a top charter in most European countries. There is something special about 'Fade To Grey' that found a place in so many people's hearts. It might be the rich Roland synth lines, Midge Ure's crying violins and strings, the whispered lyrics, the linked French ones, haunting vocal chants or a perfect combination of all... Whatever the case may be, 'Fade To Grey' is an effortless euphoria-inducing experience that deserves its place in history as one of synth-pop's outstanding classics.